In our book, there are two ways you can experience theatre. First, you could buy a ticket to the latest Broadway show and watch actors perform on stage. This scenario is very appealing to most. The environment is safe, the narrative moves in a linear fashion, and there’s probably going to be a nice dinner afterwards. 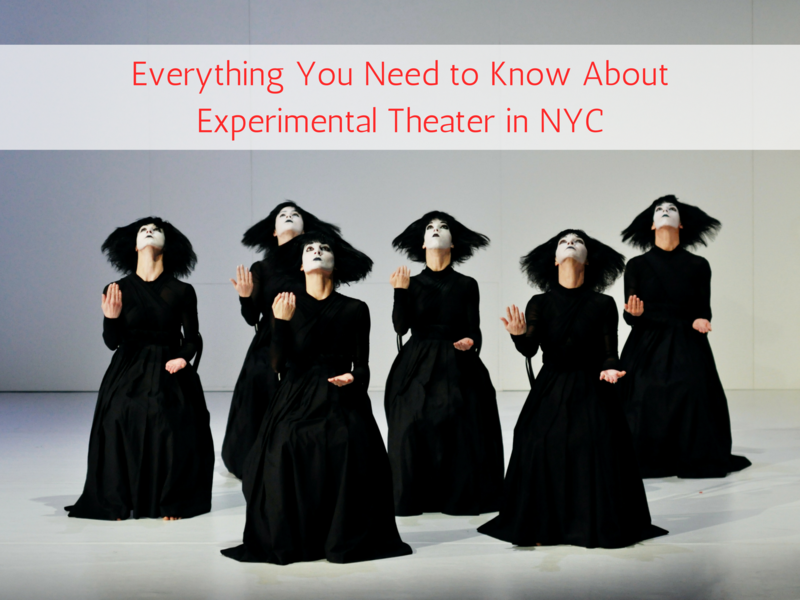 Then there’s another kind of performance: experimental theatre. We’re here today to tell you about the latter experience, one we promise you’ll never forget. Tip: Looking for something fun to do in NYC? Check out our private custom photo safaris, as well as these nightlife, culinary and other fun tours from our partners! In these performances you don’t know if you are going to make it out alive. This is not a place where you witness beautiful scene changes or watch seasoned thespians recite lines on stage. This is the theatre of the raw and unhinged. There are no sets. No ushers. No advertisements on the back of the program. Everything is bare bones. Performers, not actors, break the fourth wall and come into the audience to interact with you. No, this is not The Great White Way. It’s The Dark Twisted Alley. The concept for experimental or avant-garde theatre was created by Alfred Jarry to counteract the traditional theatre of the day. His Ubu plays changed the way people watched performance art forever. His plays would switch from real-time to slow motion, and performers would even rewind on stage. Audience members didn’t know if they were witnessing a performance or the real thing. These types of performances also brought a change in play writing. Experimental plays were– and still are– more political than traditional plays. Avant-garde pieces were not designed to entertain, but to address the social climate of the day. If Alfred Jarry gave birth to experimental theatre, then The Living Theatre raised it. Founded in 1947 by Julian Beck and Judith Malina, The Living Theatre’s mission was to push the culture forward. And in the 1960s, they created three plays that would do just that. The Connection, The Brig, and Paradise Now, took the avant-garde global. The Connection featured real heroin addicts on stage waiting for a fix. The Brig displayed the physical brutality that was unleashed on the Marines who were in military prisons. Paradise Now was filled with marijuana smoke and naked bodies making love on stage. It’s safe to say that Simba and Pumba are not doing that. Even though times have changed, the weirdness still lives. You can still find theatre groups that can not only change your perception of reality, but bring you closer to it. Groups such as: the legendary Wooster Group, Elevator Repair Service, and Ars Nova are keeping the experimental tradition alive. Once you see these companies, you will be blown away. We promise. Today’s technology coupled with the batty performances makes the possibilities of experimental theatre endless. 1. Sleep No More. 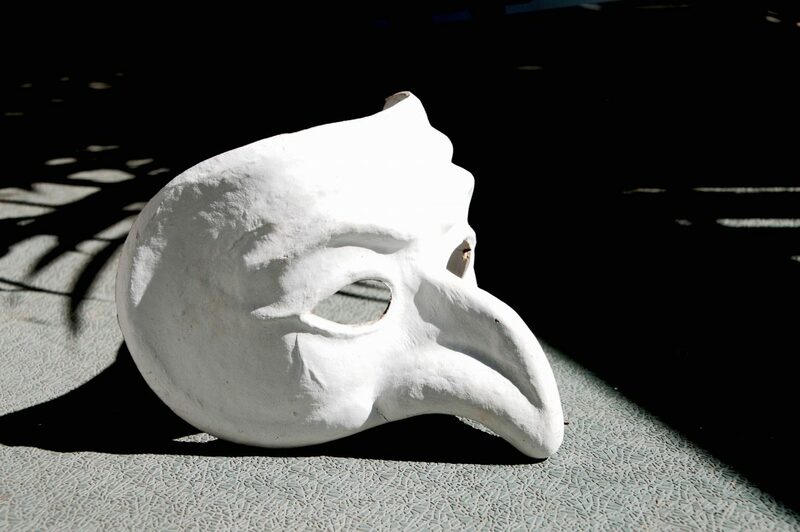 Participate in this interactive performance of Shakespeare’s Macbeth. Silently explore the five floors of the McKittrick Hotel as you watch the story unfold. 2. Then She Fell. Explore a lushly designed Alice-like world inspired by the writings of Lewis Carroll and encounter performers to uncover hidden scenes and access secret areas. 3. Take Care. Take part in this interactive exploration of the way we respond to present and imminent danger. 4. The Illuminati Ball. Get taken away from NYC to a secret estate in the woods where you will be immersed in food, cocktails and exotic rituals during this unique Illuminati rite of passage. 5. The Grand Paradise. Relax in this 1970’s tropical resort, follow actors around with flowers around your neck and a drink in your hand, and find the Fountain of Youth.